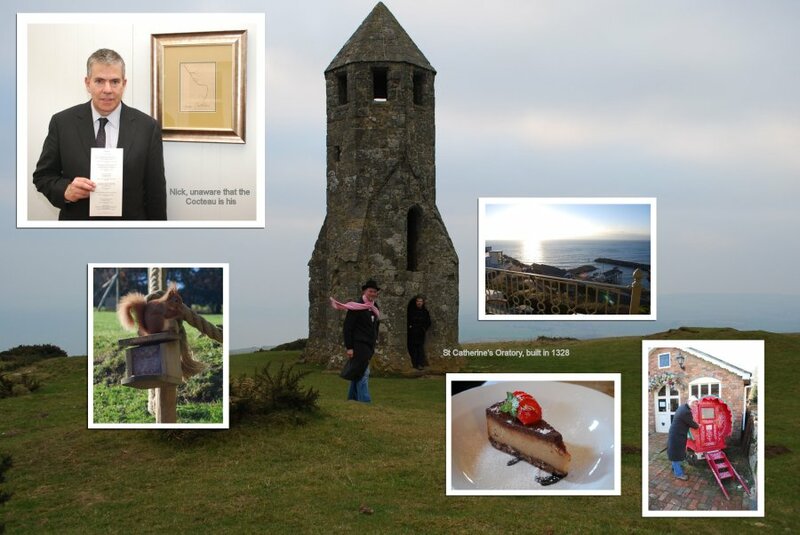 Georgenick's birthday celebrations on the Isle of Wight. Robert Thompson Hambrough Hotel. Carisbrooke Castle. 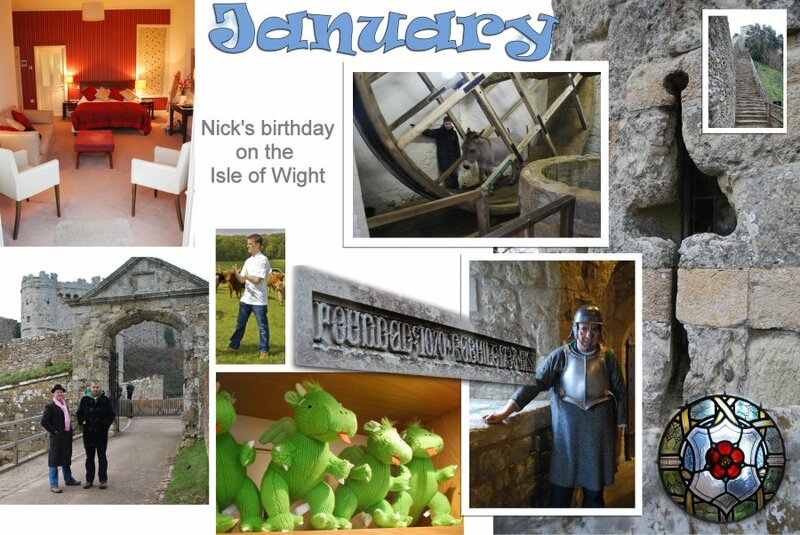 We visited the Isle of Wight for Nick's birthday and saw Carisbrooke Castle. We stayed at Robert Thompson's Hambrough Hotel. 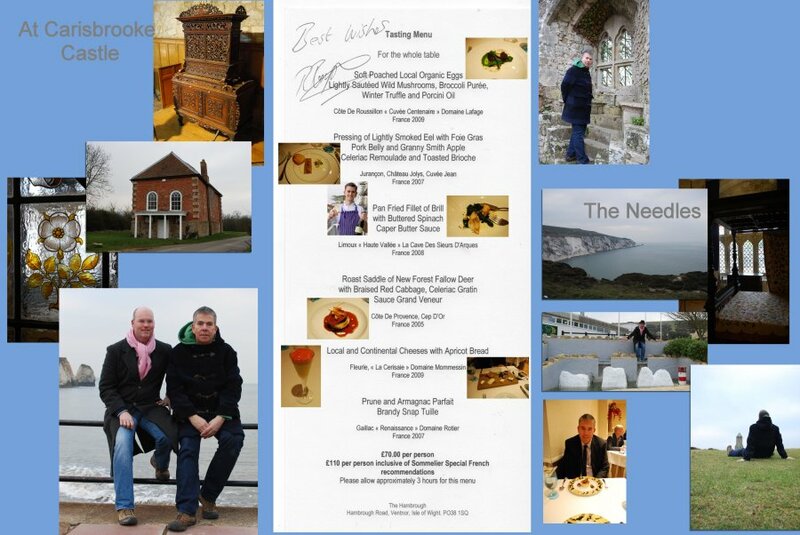 The many course tasting menu was a wonderful highlight of our trip. Nick's birthday gift hung on the hotel wall, unbeknownst to him. Only when he asked to pose next to it, was he told it was his to keep! Click HERE to see Nick's Parisian birthday in 2010 and HERE to see our last trip to the Isle of Wight in 2009.